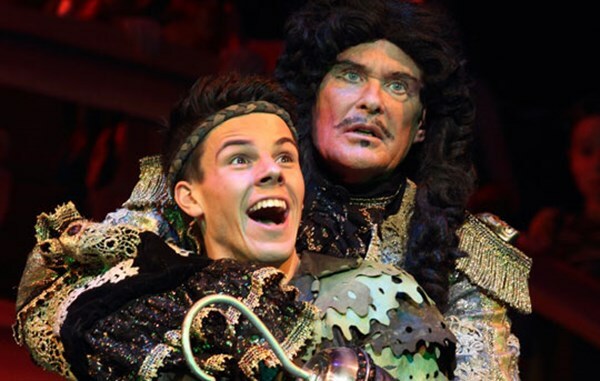 Review of Peter Pan, The Swashbuckling Pantomime Adventure! It is something of an annual tradition now, our trip to the New Theatre to watch a pantomime before Christmas, with excitement growing at the thought of watching an all-time classic, Peter Pan. This year we were especially excited, well the adults were anyway!, as the legend that is David Hasselhoff would be playing the dastardly Captain Hook! JM Barrie’s much loved tale is brought to life by Director Tudor Davies and Executive Producer Jonathan Kiley, in association with Quos Entertainment. As per usual, they put on a superb visual show, and as well as the already mentioned `The Hoff`, our all-time favourite Mike Doyle stars as Mrs Smee. 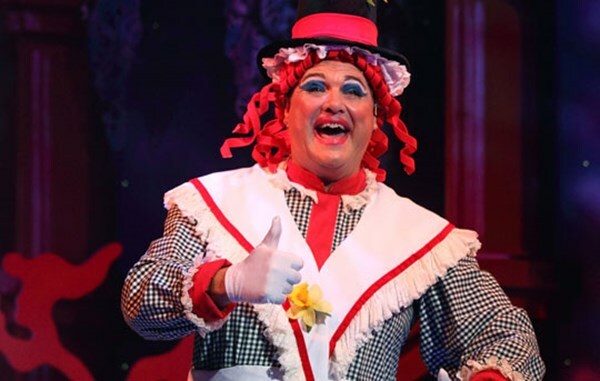 The family have come to love Mike Doyle in Panto, we couldn’t imagine him not being part of one now, his sense of comic timing is impeccable, he has a fantastic rapport with the audience, and his costumes…well, let’s just say the word spectacular doesn`t do them justice! As the well-known story goes, Peter Pan played by Matthew Chase, struggles with growing up, and the lovely Wendy, who he visits frequently, becomes extremely fond of him. 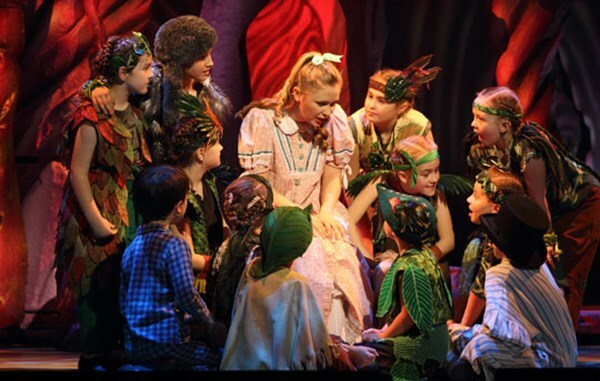 He persuades Wendy and her two brothers to accompany him and his fairy, Tinker Bell, on a magical journey to Neverland. When they arrive they meet with Tiger Lily and her friends, and also a special mermaid, Mimi, but soon a vengeful Captain Hook turns up with his motley collection of not so brave pirates, and desperately wants to get his revenge on Peter Pan. The show is aimed at people of all ages, and didn`t disappoint both the adults and children in the audience, with plenty of slapstick comedy and silliness, mixed in with more adult humour which was ideal for the grown-ups! One particular scene involving a pheasant and the words `peasant` and `plucker` was hilarious, and involved a great deal of effort by the actors to avoid swearing! The rest of the cast were equally awesome, and threw themselves into their parts with energy and gusto. Mimi the Mermaid, played by Stephanie Webber of The Voice fame, had a fantastic singing voice, backed up brilliantly by Tiger Lily(Natalie Winsor), Tinker Bell(Emma Prosser) and Wendy Darling(Julie Cullen), and not forgetting the fabulous children from the Lorri Guppy School of Dance who were very professional. To be honest, it was a bit surreal seeing the global star that is David Hasselhoff, who we grew up watching on television shows such as Baywatch and Nightrider, standing a few yards away on the stage in a Captain Hook Costume. However, we soon got over this, and his mere stage presence was at times mesmerising, and together with Mike Doyle, proved there is no substitute for experience. Overall, the show was a spectacular success, with the audience fully involved throughout thanks to all the actors’ expertise. This was an unforgettable, magical and mischievous adventure that we will remember for a very long time, and one which we cannot recommend highly enough. 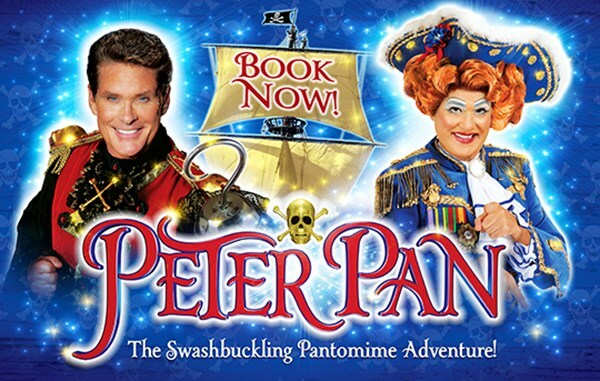 If there is only one pantomime you go to over the Christmas and New Year period, make sure it is Peter Pan!